nero profumo: JAR Jarling: Heliotrope for your sore throat. JAR Jarling: Heliotrope for your sore throat. 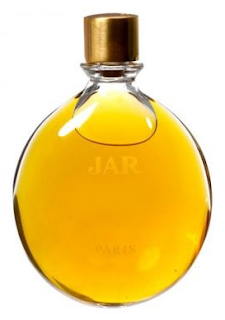 Those who are familiar with JAR know that this brand is to perfumery just like a 1936 Bugatti 57SC Atlantic is to cars. A completely out of the world experience that's far beyond pure luxury and pleasure as we know them. JAR fragrances have the ability to drive you, within a single wearing, from heaven to hell and back. An experience that will redefine the sense of smell and the usual evaluating paramenters with no turning back. Jarling makes no exception. What may sound as an average heliotrope soliflore, upon application delivers an extremely caleidoscopic blast of mimosa, almond, marzipan and star anise paired to challenging bitter undertones that bring to mind of cyanide and what I will call "vintage antibiotic syrup for children" (Baktrim anyone?). While all of the above sound disencouraging, Jarling is immediately ready to evolve into one of the most delicate almondy-mimosa-lilac centered fragrance ever created.Plush, sophisticated and, considering the price tag, extremely exclusive. By all means, a JAR. Lovers of Apres L'Ondeè, take note. This is the final frontier. Downside: Not as tenacious as one would expect from a JAR. Jarling is the only fragrance from the JAR house I own (from Brian's split, of course). When I smelled them all at the JAR boutique, this one was the most shocking. There is a flightless roach here called the "Florida Woods Roach" or "Skunk Roach" that, despite the "skunk" denomination, shoots (literally) a defensive allomonal spray when disturbed that actually smells quite pleasant. Jarling is a dead ringer for the allomonal spray of the roach. I'm not kidding! Extensive online research informs me that the roach's spray is comprised primarily of cis-3-hexanol (or leaf alcohol) with many other organic and inorganic compounds and aldehydes. The little guys are quite the perfumers themselves! I've tried very hard to gather this spray and tincture it but I can't seem to find the buggers whenever I'm actually looking for them. Jarling is so close to this chemical that a person I know who actually breeds these roaches to sell as pets instantly recognized it as such. Though I doubt it was deliberately similar, it really speaks volumes about the creativity of JAR. Anyway, the only other place I've smelled something similar is in Lush's Fig and Leaf soap. Do you know where i can get a sample of jar jarling? And can I just say that I really love your taste in perfumes and your brilliant reviews are just perfect : ) I went ahead and bought sycomore right after I read your review about it. I'm looking forward to reading your new reviews! I find this the least weird JAR, I only wish it was either a bit more powerful or quite a bit cheaper so I could be lavish in its application. It's like Chinese five spice meets ( you hit the nail on the head ) L'Apres L'Ondee parfum. Though, it strikes me as somehow a bit more sinister than the Guerlain. It isn't as doe-eyed as most heliotrope frags. @Hamed: Thanks for your extremely kind words. My cat LOOOOOVVVVVEEEESSS Eau d'Hadrien EDT. She rolls in it and tries to lick it off whatever surface it touches.